Welcome to our latest Blog. We have just been given our Provisional ‘Driving Licence’ to get our new Rotary Social Innovation in South East Hampshire up and going by Rotary International in Britain & Ireland. We are working towards becoming part of the Rotary 2020 Vision as an Innovative and Flexible Club. 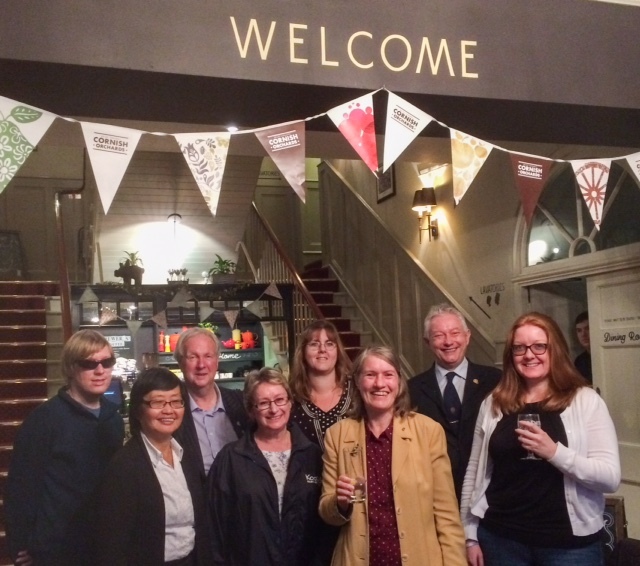 Some of us met this week at The Old Customs House, Gunwharf Quays to toast the new venture, they even put the flags out for us! Rotary SISE Hampshire is attracting some really exciting new members to help us develop vibrant, modern and trailblazing Rotary for the 21st Century. Do take a look at what we are Cooking Up and why not join us in this learning adventure. Highslopes Community Centre, 5-8pm. We are hoping to get 10 teams of 4 people enter, and ask that you all encourage people/businesses/whoever to get together a team. It is a family event and teams can consist of people of any age. And, of course, the most important part, of posting/sharing on social media about sanitary issues around the World and raising awareness of why we are doing this! To help you do this watch our Facebook page for information to share. We are doing this event in partnership with the Rotary Club of Cosham. We are vey interested to help with communities adopting the Social Model for Disability, if you are interested in learning more about this please have a look at Toucan-Diversity Training . We want to help support the ethos of encouraging more employers to take on employees with disability and train staff who work with them to integrate them into the team with open discussion about adaptions by all involved. Many companies are getting involved in the Government’s Disability Confident initiative, we want to encourage more to do so, as well as take on new staff with disabilities. We want people to become more aware of ME, please book to see this film. Tickets available from Eventbrite. #healthcare #health #charity #advocacy. Please share with your friends and others. Let’s Hear in Portsmouth helping to make our City a Champion for Good Hearing working with the national charity Hearing Link. Helping Portsmouth to build its Dementia Action Alliance working in partnership with Remind (part of Solent Mind). Working with the Rotary Club of Havant we want to help send Literacy Boxes to the Philippines, supporting provision of education to children living off of the rubbish tips. Working with the Rotary Club of Cosham we want to help build a Sand Dam. We are on the Task & Finish Group for the Portsmouth Dragon Boat Race on the 13th May 2018.